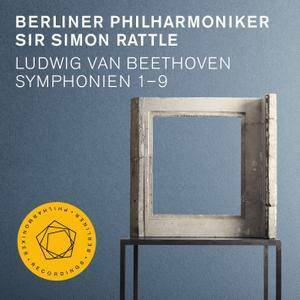 Recorded live in October 2015 by Sir Simon Rattle and the Berlin Philharmonic, this deluxe set of the nine symphonies of Ludwig van Beethoven consists of five standard CDs, a Pure Audio Blu-ray disc, and two high-definition Blu-ray video discs of the concerts, altogether offering a comprehensive presentation of the cycle, along with a book of essays detailing the project. The rectangular hard-cover package is a little tricky to handle and is best opened on a flat surface, because the discs are placed in flip cases in a compartment on the left side and the book is attached to the right. Yet in spite of this awkward arrangement, the music is what counts most, and Rattle's compelling readings are thorough in their scholarship and fully realized in gorgeous audiophile sound by one of the world's greatest orchestras. 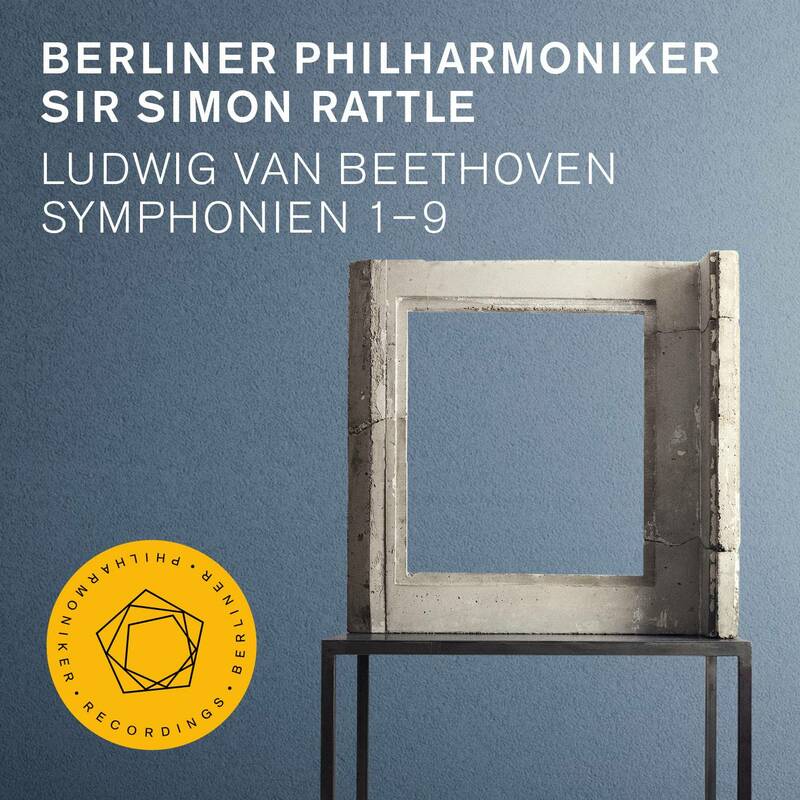 Also included is a bonus documentary, "Living with Beethoven," a digital download code, and another code for a seven-day ticket for the Digital Concert Hall, to access the Berlin Philharmonic's streaming service. While this may be more than most listeners need, collectors will appreciate the additional material. Highly recommended. 38 - Symphony No. 9: 4b. Presto - Recitativo "O Freunde, nicht diese Töne"
Recorded at the Berlin Philharmonie in October 2015.